No, you didn’t read that title wrong. If you’ve ever heard of an American breakfast, it usually consists of fried eggs, sausage and pancakes. Fortunately, under the right circumstances, those pancakes can actually be healthy for you! Whole wheat pancakes that are made with fruit or nuts can give you a dose of fiber and healthy carbs to help fuel you throughout your day. Don’t go crazy yet though — pancakes made with white flour and sugary add-ins like chocolate chips or sprinkles are not so good for you. Because of the sugar content, those puppies will give you a blood sugar spike followed by a crash soon after. Pancakes made with whole wheat flour, however, have a different effect. First, they won’t cause your blood sugar to spike and later crash. Second, the slow-digesting carbs mean they won’t digest at rapid fire, giving you a good level of energy to start out your day. 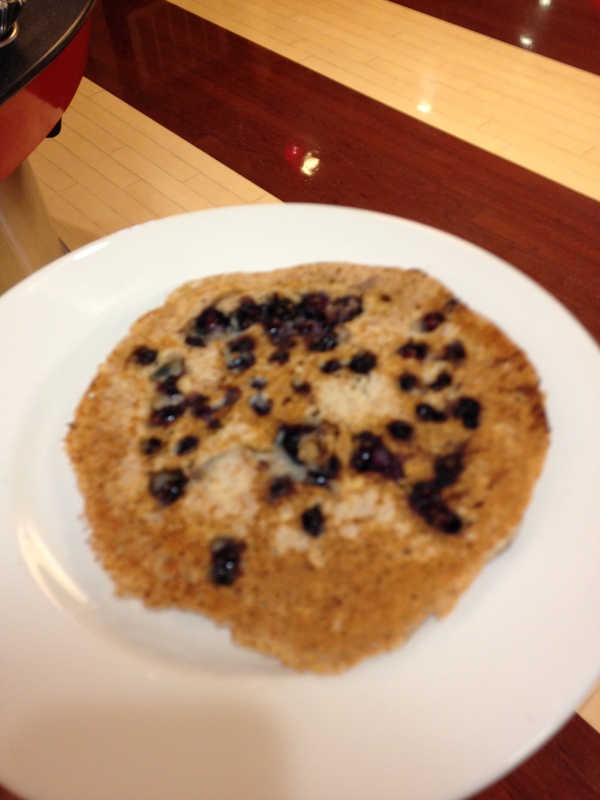 And third, the dietary fiber in whole wheat pancakes will keep you full and help your tummy digest your food. Whole wheat pancakes also contain B vitamins and minerals. All of these nutritional benefits work together to keep you lean and healthy. One important thing to be wary of when eating pancakes is the syrup — the stuff is pure sugar, and adding globs of it onto your breakfast is not going to do you any favors. Next time, forgo the syrup and choose healthier toppings like peanut butter, fruit preserves and fruit! Once you’ve got the pancake, top it with a tablespoon of peanut butter (I swear, it’s actually really good!) and toss some cinnamon on top for good measure. Last, go by the waffle station and add some frozen blueberries for some extra fiber and sweetness. Bon appétit!